We’re now at the end of the six-year Beyond Youth Custody (BYC) partnership and we’d like to say thank you to all those reading this for your support of BYC. 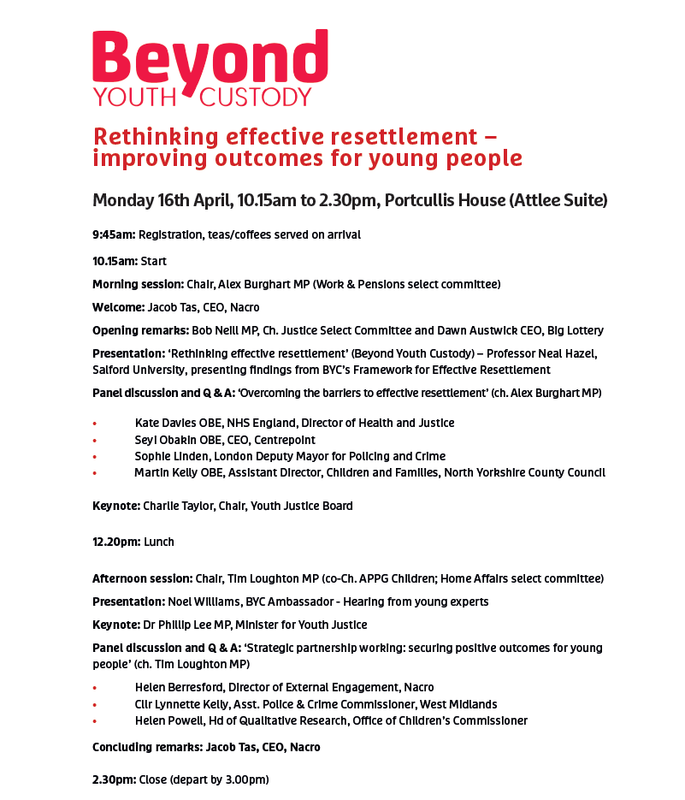 On Monday 16 April 2018, BYC hosted a conference at Portcullis House in Parliament to celebrate the successes of the six years of the programme and to consider how BYC’s research on effective resettlement can be adopted by various services across social work, justice, health and housing to improve outcomes for young people. On 27 February, Beyond Youth Custody and the Clinks Service User Network brought together staff and young experts from Peer Power and Everton in the Community – along with a diverse range of stakeholders for an effective practice sharing workshop on involving young people in justice services. Read BYC’s December newsletter that updates on recent work, publications and events and highlights opportunities to get involved in the future. The 21 and 22 November 2017 marked the 17th annual Youth Justice Convention (YJC17), which gathered more than 500 youth justice professionals to the King Power Stadium in Leicester. Today Beyond Youth Custody releases a new report that proposes a framework for the effective resettlement of young people leaving custody. BYC represents the UK at the International Corrections & Prisons Association (ICPA) annual conference.